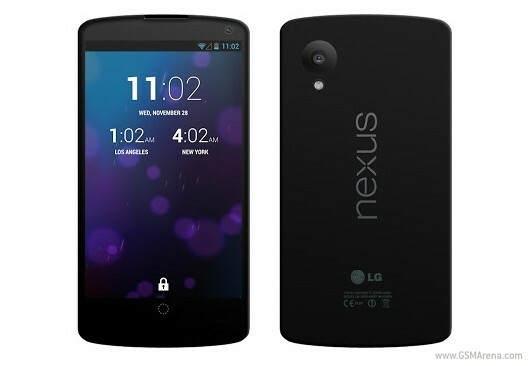 The upcoming Google Nexus 5 has been leaked several times already, showing off what is expected to be the first Android 4.4 KitKat-running device. Now, new information out of Japanese retailer redstar reveals that the Nexus 5 will be hitting retail on November 14, for the price of 44,600 yen (~$460) for the 16GB model, and 49,800 yen (~$513) for the 32GB model. Keep in mind that this is a Japanese retailer, and Japan could begin selling the Nexus 5 sooner (unlikely) or later than other markets. The price through a third-party retailer is also likely higher than the official Google price, so look at this as the highest possible price of the smartphone. The Nexus 5 is expected to sport a 5-inch 1080p display with quad-core 2.3GHz Krait 400 CPU, 2GB of RAM, and an 8MP shooter with 1.3MP front-facer. The internal storage is expected to again be non-expandable. Be sure to check back with us later this month for the expected Android 4.4 KitKat announcement, which could shed more light on the upcoming Nexus 5.